If extra help is needed, Carmel Village can meet your changing needs in a gracious and caring manner. Services and amenities are designed to enhance freedom and independence. We offer 24-hour care staff supervised by a licensed nurse, medication supervision, personal laundry, bathing and grooming. 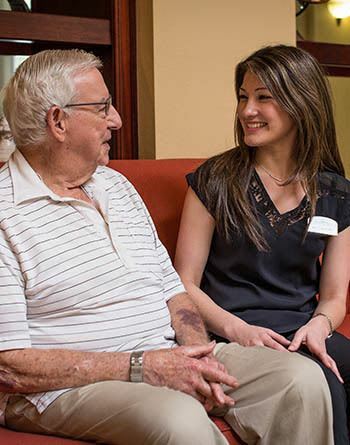 Residents’ needs are met with personalized care and attention to detail. Month-to-Month rent starts at $3,800 per month. Level 1 Care starts at $300 per month.